Ilze Heider has been working with leather for over 40 years. 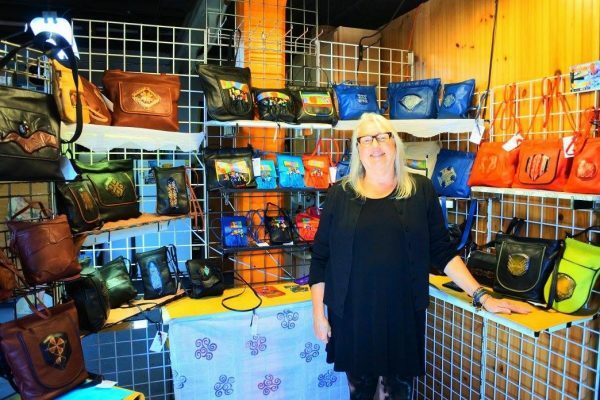 Finding new techniques and colors, she enjoys combining the texture, color and feel of the leather to create unique and functional objects of wearable art. She wants her handbags to fit as well and look as good as the finest piece of clothing. Her creations embody the energy and passion that she brings to her work.